Charming Home For Sale in the Highly Desirable Fruit and Nut District! Spacious Home For Sale in the Highly Desired Fruit and Nut District! Experience Downtown Fairhope living in this Charming Home For Sale in the Highly Desirable Fruit and Nut District! Fairhope Al is the destination of thousands of travelers every year. From the privately owned dining options to the mom & pop shops, to the regionally famous rose garden at the pier, vacationers fall in love with all that our little town has to offer. Tucked away at the edge of the Fruit and Nut section of town, within walking distance to all the downtown treasures, you will find 458 Ivy Cir. This classic southern home is perfect for those that desire to be close to Mobile Bay and Downtown Fairhope, but still wish to have the home with a look and feel of the countryside. 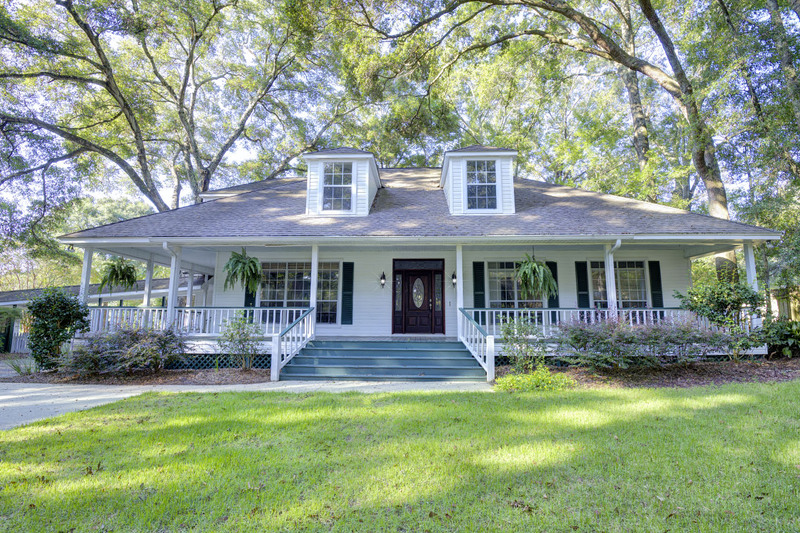 Enjoy the beautiful shaded yard and the incredible climate of South Alabama…especially with the wrap-around porch and the spacious back grilling deck. plenty of seating at the bar. endless opportunities to take a break from reality and relax. 458 Ivy Circle has the features inside and out to make this the perfect home. Also, the Fairhope schools and community activities make it a great place for any stage in life, from raising a family to retirement. Be sure to see for yourself all this home and this community have to offer! Come to Tour this Charming Home For Sale in the Highly Desirable Fruit and Nut District with the Jason Will Real Estate Team 251-866-6464!